Julia Berger, the Director of Education for Christ the King Mount Vernon church (CTK Mount Vernon), has been a KidCheck customer for over 5 years. Julia was one of the original team members at CTK Mount Vernon and part of the decision to choose KidCheck. The church was using pen and paper, but wanted to transition to an electronic system to better track attendance, have easy access to reports, and be able to store medical and other information for legal purposes. It was also important that all information be in one location and easily retrievable. For families, volunteers and staff, they needed a system that could be quickly implemented, consistent, and easy to follow. “I first heard about KidCheck at a Children’s Ministry Conference and wanted to move to an electronic format. KidCheck had everything we needed and more, plus it was very secure. I loved it! It was the best decision we ever made,” shared Julia. 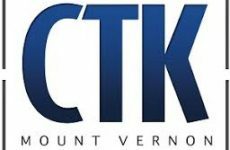 CTK Mount Vernon is a thriving church with many locations, which provided the opportunity for each site within their network to make their own technology decisions. However, later, as the Mount Vernon network moved to centralize their support functions and utilize one database; Julia was encouraged to get on board and move to a chosen church management system with a check-in component. As Julia ventured into the unknown with a new check-in system, she was most concerned about the families, and how would they respond. “My theory has always been if you have something that works why change it! We were content and it was one area of ministry that was running smoothly. We had all the information we needed. It wasn’t just a change for our staff, but also our parents, “continued Julia. During the transition, the biggest frustration came from her team and those running the system. Julia recalls, “Using the new system was like jumping through 10-12 different hoops every time you logged into it. The system wasn’t intuitive and became a real struggle for volunteers. We did a good job of making it easy for parents, but even they noticed that things were very different – and not in a good way.” In addition, the system proceeded to crash during peak times, forcing Julia and her team to go back to pen and paper. This was not effective and a waste of money. They were paying for a system they could not use. Based on the experience and the reactions of her team and parents, Julia decided returning to KidCheck was the best answer, and worth the cost to have a reliable, easy-to-use check-in solution. She shared with the Mount Vernon network that they tried, but just couldn’t do it anymore, and efforts to make the check-in portion of the other system work were going nowhere.